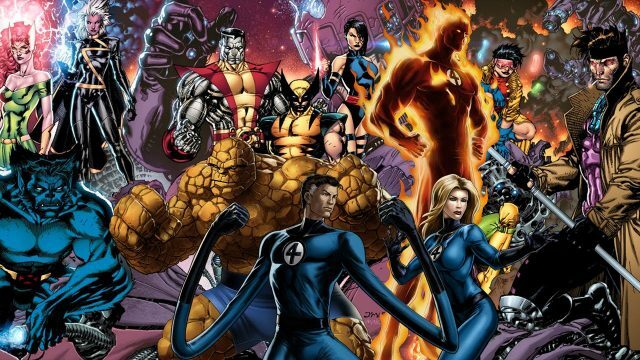 Currently in possession of film rights to X-Men and Fantastic Four, 20th Century Fox has gone ahead and staked out release dates for six Marvel movies, beginning with an as-yet-mysterious tentpole on June 7th, 2019. Word comes by way of the Exhibitor Relations Twitter feed, confirming that Fox has also reserved November 22th of that same year, before another three feature films tumble off the production line in 2020 – March 13th, June 26th, and October 2nd, to be specific – concluding with a Marvel/Fox blockbuster on March 5th, 2021. These release dates are naturally subject to change, and the fact that the studio isn’t quite ready to disclose the identity of each feature film tells us that it’s still early, early days – either that, or their titles have been deemed spoiler-sensitive. It’s the reason why Marvel has been so coy about its 2020 trio, though the studio’s top brass Kevin Feige has gone on record time and time again to stress that no further details will be disclosed until the launch of Avengers 4 in 2019. Getting back to 20th Century Fox, though, and one would assume that most, if not all of these films are X-Men-related – for what it’s worth, Deadpool also falls under that umbrella, as does the long-rumored X-Force ensemble movie. But even after Josh Trank’s forgettable trainwreck of 2015, it would seem the studio is mulling over the possibility of a four-quadrant Fantastic Four reboot, with Seth Grahame-Smith (Pride and Prejudice and Zombies) on script duties. The celebrated novelist and screenwriter, who was once attached to The Flash over at Warner Bros., has reportedly been tasked with drafting a “kid-friendly” reimagining of Marvel’s First Family. Assuming that is indeed the case, it could well be that Fantastic Four will slot into one of those aforementioned dates in due time. However, it’s worth keeping in mind that even if Fox is toiling away on another interpretation of FF – and chances are that it is, lest the rights revert back to Marvel – it’s likely in the formative stages of development. Chances are 20th Century Fox wants to capitalize on the Merc’s popularity and push on with the X-Force movie, perhaps even slating it for launch in 2019. 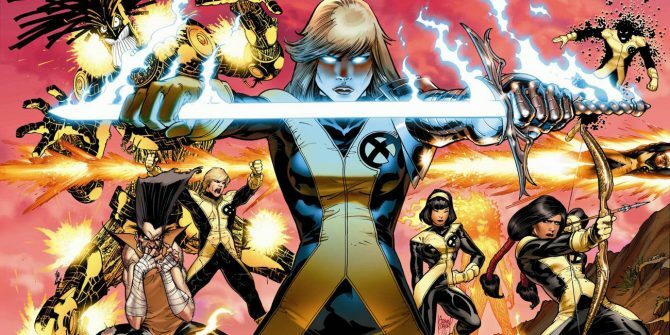 Elsewhere, those 2020 dates could belong to the next core X-Men movie beyond Dark Phoenix, while there’s always a possibility that Josh Boone has been quietly plotting a sequel to New Mutants. What do you make of Fox’s announcement, though? Drop your thoughts, comments, and predictions in the usual spot below.